It took awhile and seemed to reach a stalemate more than once, but the Giants have re-signed defensive end Jason Pierre-Paul to a one-year deal according to Ian Rapoport of NFL.com. The deal has been rumored all day and is finally done, although the exact terms have not yet been released to the media. 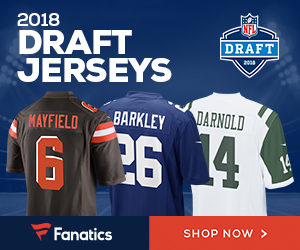 It does appear that JPP will be making less than the $877,000 he would have pulled in a week under his $14.million franchise tender had he signd it before severely injuring his hand on the 4th of July but there are multiple reports that he will have the opportunity to make some of that lost cash back through incentives. The current plan is for Pierre-Paul to return to the field in Week 10. While no one can predict just how effective JPP can be this season due to the hand injury, any help he can give the Giants’ pathetic pass rush will be appreciated. JPP and the Giants have reached agreement on a new, 1-year deal and it will be finalized tonight (confirming what @rapsheet just reported). Want to try something different? ESPN is back with Return Man 3. It’s great fun, your goal is to return the ball to the end zone without getting tackled. The game is featured on Poki, and you can click here to play if you’re looking to kill some time. 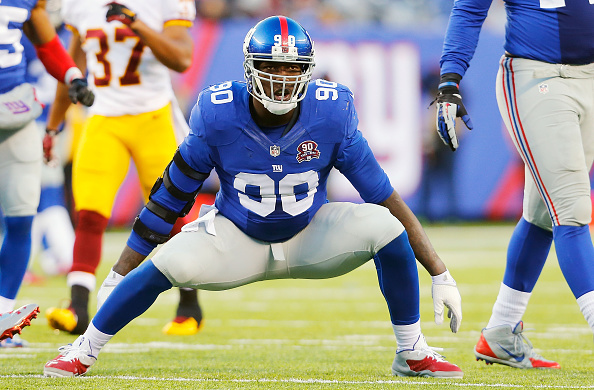 Be the first to comment on "Giants and DE Pierre-Paul Agree to One-Year Contract"